3-way, tri-amped PA speaker, 1,400 watts, on-board digital mixer with acoustic guitar modelling. Get the sound quality your music deserves. Road tested on national tours. Line 6 loudspeaker engineers have decades of speaker design experience, so we know how to build the most durable, high-performance live sound gear. Instead of plastic cabinets, StageSource loudspeakers feature dual-braced plywood enclosures that minimize vibration and deliver precise, powerful sound reproduction. A tour-grade steel grille with protective screen backing ensures driver protection. Your self-contained live sound solution. StageSource L3t and L2t include an innovative digital mixer featuring everything you need to take control of your sound. Sweeten any vocal or instrument using the 3-band EQ with sweepable mid. Apply Smart Mod and Smart Reverb effects on each input channel to achieve studio-quality vocals on the stage. Use Line 6 acoustic guitar modeling to add depth and warmth to your acoustic guitar. The combination of effects, acoustic guitar modeling and best-in-class I/O make StageSource L3t and L2t the perfect all-in-one live sound solutions for musicians. Studio-quality live sound. At every gig. 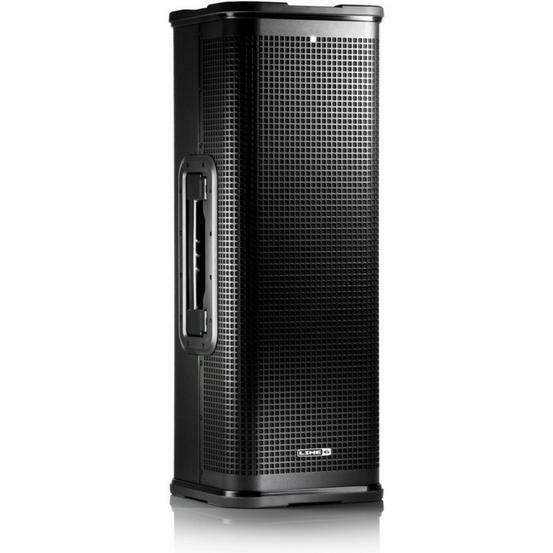 StageSource loudspeakers use massive DSP—unmatched in their class—to offer perfect phase alignment, flat frequency response and adaptability to a variety of performance scenarios. Using six powerful DSP-based speaker modes, you can optimize the speaker’s output for use as a front-of-house PA, floor monitor, personal PA, keyboard backline, acoustic guitar backline, or a high-performance FRFR (full range, flat response) system for your multi-effects guitar processor. Focus on your music, not on the gear. Right before the show starts, you should be thinking about your performance—not scrambling to set up the PA. StageSource makes preparation a breeze so you can focus on the music. Using our proprietary L6 LINK™ digital networking technology, StageSource loudspeakers automatically self-configure, pan stereo signals, adjust Smart Speaker modes and perform system-wide optimization. An onboard accelerometer and pole-mount sensors automatically detect the speaker’s orientation and set the Smart Speaker mode accordingly.